Sunset magazine, darling of West Coast yuppies*, has a blog post titled “Better than Kindle: libraries are back.” Hard to think that this awesome mural on the side of the West Hollywood Public Library didn’t have something to do with that great PR. Just one more reason to pay attention to good visual design in your library. 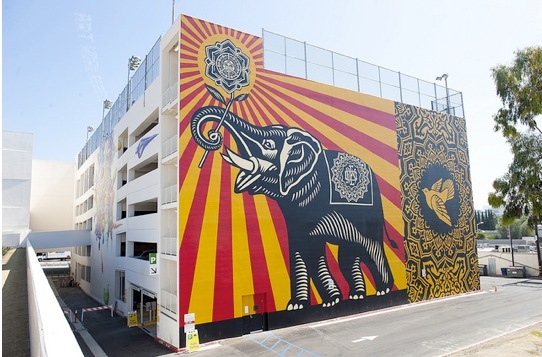 And if you can get Shepard Fairey to do your murals, more power to you. * I say this with love.